Every mom has felt the need to be perfect. 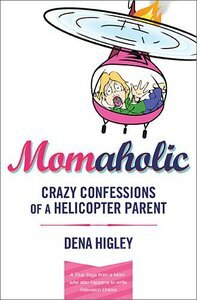 MOMAHOLIC is one woman's private, dramatic, and often comical invitation to peek inside a time in her life where everything fell apart and she had to take an honest look at what she was doing right and what she?d been doing terribly wrong. With this simple discovery, her whacky family's season of becoming unraveled found a new glue (other than her blood, sweat and tears) that would re-bond her family and unite them in a deeper and more functional way than ever before. An ADOPTED SON from Ethiopia, rescued from the streets at the age of 9. This is a story showing the speed with which a ?normal? family can fall apart. No one dies. No one gets kidnapped. They just have to deal with each of their own issues?.and then one unwanted and unplanned pregnancy. This was a church-going family whose kids were taught abstinence until marriage. With the family running around as the tornado sirens roared warnings to take cover, mother, Miss Drama, becomes the biggest mess of all and ends up finding a whole new freedom for her soul. Dena Higley, an Emmy award-winning writer, has been the head writer for both One Life to Live and Days of Our Lives as well as a playwright in Glendale, CA. She is a graduate of the USC School of Theatre, where she studied acting under the late John Houseman. She currently resides in La Canada-Flintridge, CA with her husband of 24 years, Mark. They have four children and one grandchild. Dena is an active member of Christian Assembly Church.